We are the sole owners of the information collected on this site. We collect information from you when you fill out a form on our site (e.g., the Contact Us form). We will not sell or rent this information to anyone. We do not sell, trade or otherwise transfer this information to outside parties. Wherever we collect sensitive information, that information is encrypted and transmitted to us in a secure way. You can verify this by looking for a lock icon in the address bar and looking for “https” at the beginning of the address of the web page. However, do not send payment information via the Contact Us form. Please call us at the number below with this information. Only employees who need the information to perform a specific job (for example, billing) are granted access to personally identifiable information. When you submit personal information to CoventryGardeners.com, you understand and consent to the transfer of your personal information across national borders and the storage and processing of your information in a country that may not provide privacy protections similar to those your country provides. 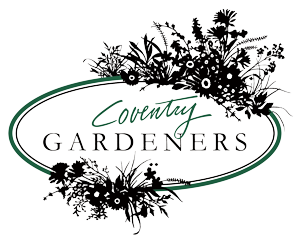 CoventryGardeners.com may provide links to external websites for your convenience. The links and information these sites contain are not monitored by us and those sites are subject to their own privacy policies and terms and conditions of use. We are not responsible for the content, accuracy, or practices of these sites nor do we endorse these sites or content provided thereon.